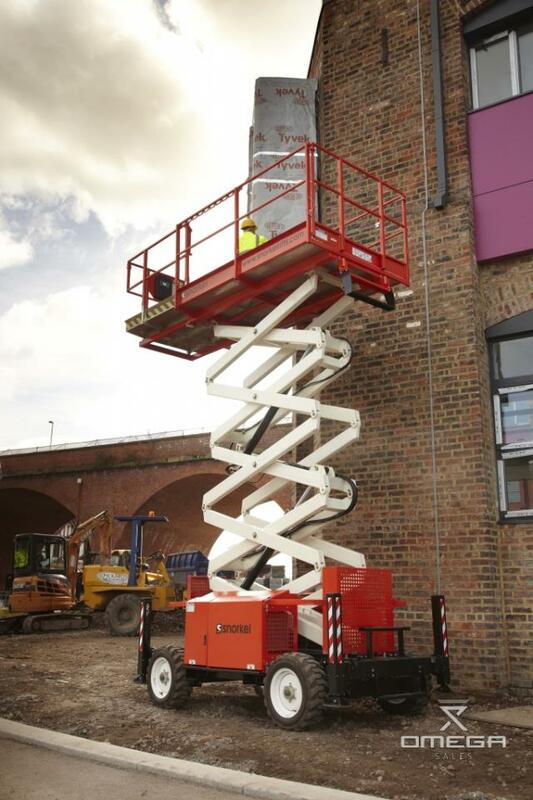 Snorkel S3370RT rough-terrain scissor lift - 4 wheel drive. 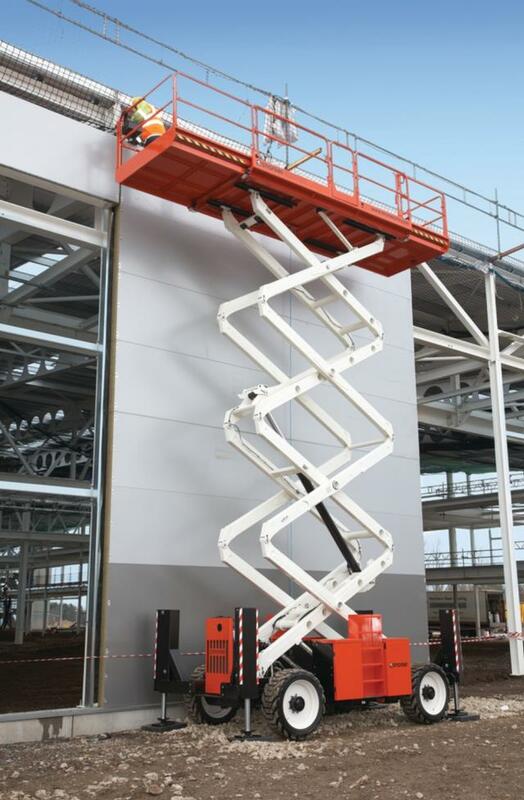 33' platform height - 39' working height. Dual Fuel - LPG for indoor use/Gasoline for outdoor use. High-grip, all-terrain, foam filled tires for trouble free service. 35% grade travel, tilt alarm, proportional controls for smooth operation. Drivable at full height on level, dry surfaces. - 8'11" long (12'11" w/platform extended) x 5'5" wide x 9' (108") tall. - 11' long x 5'11" wide. - 9' tall w/guardrail set-up. 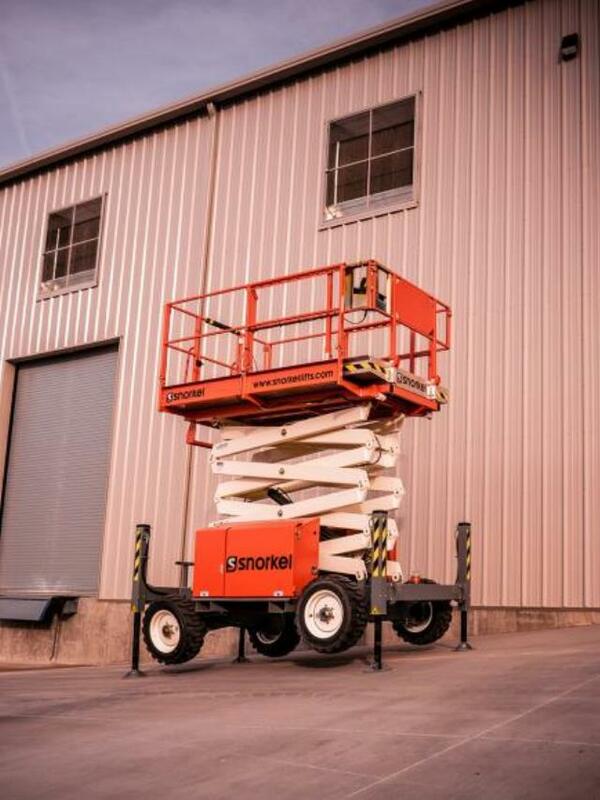 * Please call us with any questions about our scissorlift 33 foot x66 inch snorkel 4wd rentals in Oak Grove MO, Blue Springs MO, Independence MO, Lexington MO, Odessa MO, Independence MO and Western Missouri.